Oily skin can be bug problem for all of you with lots of shine and oil that you feel you have to wash your face more often, but harsh cleansers and scrubs can over stimulate your pores in order to produce even more oil, so you have to use the best face mask for oily skin. You often need a little extra help if you want to get rid of the dead skin cells, excess oil and dirt clogging your pores. These are a couple of diy face mask for oily skin to combine oil-absorbing ingredients with natural astringents in order to tone your skin, draw out impurities and soak up oil. 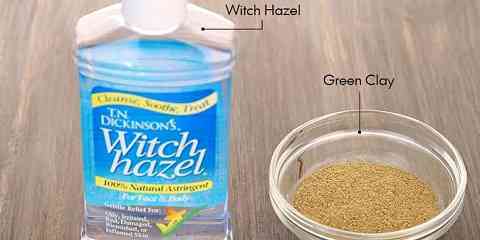 Witch hazel is a perfect and effective astringent which makes pores tighten when they dry while clay offers deep pore cleansing by pulsing out dirt and impurities. To start make this face mask, you have to prepare 1 tablespoon witch hazel, 2 drops lemon essential oil and 1 teaspoon bentonite clay. After that all you have to do is combining ingredients and stir until blended. You have to consider that do not use metal bowls or spoons in order to mix. Apply it to your skin by using your clean fingers and wait for about 10 minutes. You can finish it by cleaning it off by using warm water. Egg whites are sometime applied in face masks in order to tone and tighten skin, which means that they are helping you in order to dry out your skin. Ground oats exfoliate dead skin and absorb oil which can clog pores. It is perfect for you to add a little bit of honey for its skin healing advantages. You just have to prepare 1 egg white, ground oats of flour and 1 teaspoon honey. The egg white and the honey should be mixed together until well combined and a little bit frothy. After that you have to add ground oats or flour until you get a paste. Apply it to your face and massage paste into your skin. Wait for about 10 minutes and you can remove it by using warm water. Apple and lemon is homemade facial mask for oily skin which both contain natural fruit acids which exfoliate your skin and oil will be removed. Sage is an herb which is supported with astringent properties in order to close and tighten pores.